Move beyond your typical part-time job. Join our exciting, fast-paced, and unique work environment and bring entertainment and celebration to families across the Central PA area. Show us you have the initiative it takes to succeed in entertainment and reach out to us at 717-836-7366 or events@klockentertainment.com. Mission: Our mission is to provide a premium choice for quality entertainment, production, and event services. Additionally, we aim to generate a desirable unique and memorable experience for our customers and event attendees. We strive to achieve the highest-level of quality customer care and hospitality. We actively service the entire South Central Pennsylvania and beyond. Vision: Our vision is to be the leading entertainment and production service in South Central Pennsylvania and beyond providing a premier choice for Disc Jockey Services, Lighting Design, Photo Booth Experiences, Event Production, and Event Services in the area. 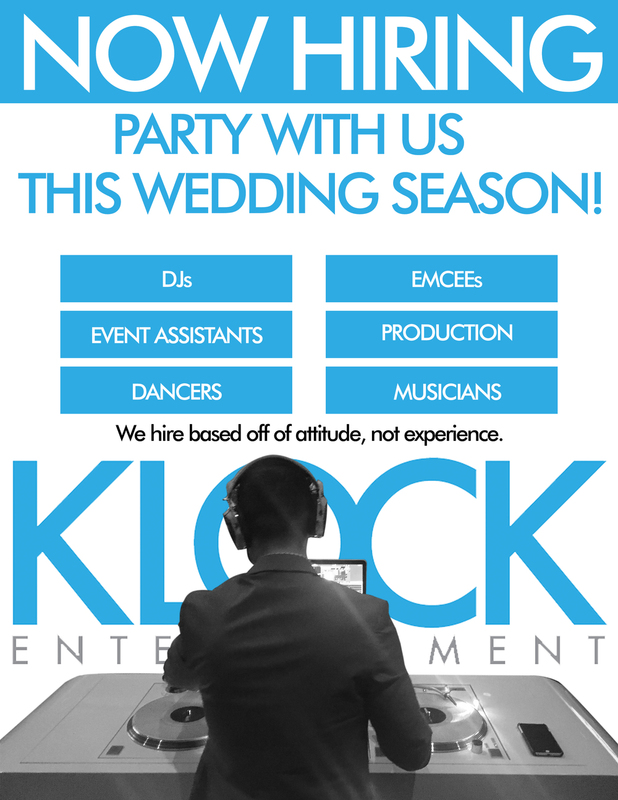 We pride ourselves on quality service and making each customer’s experience with Klock Entertainment unique and special.